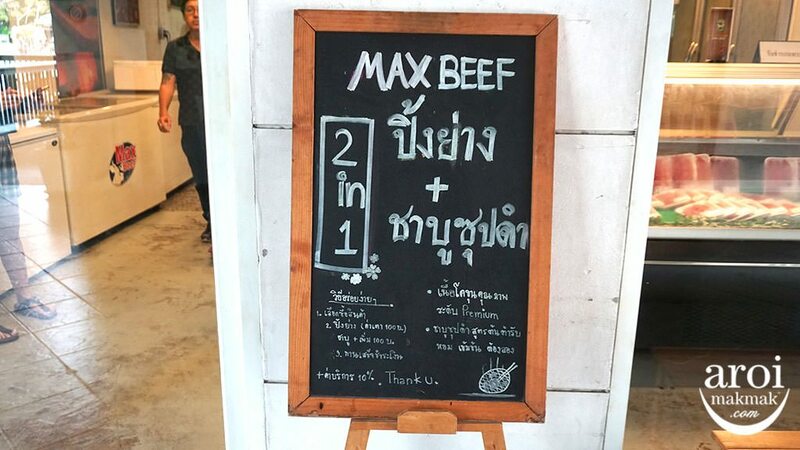 Home/Bangkok/Food/Max Beef – Premium Beef straight from Kasetsart University’s farm! Have a craving for premium beef but your bank account says no? This is not going to be a problem anymore! 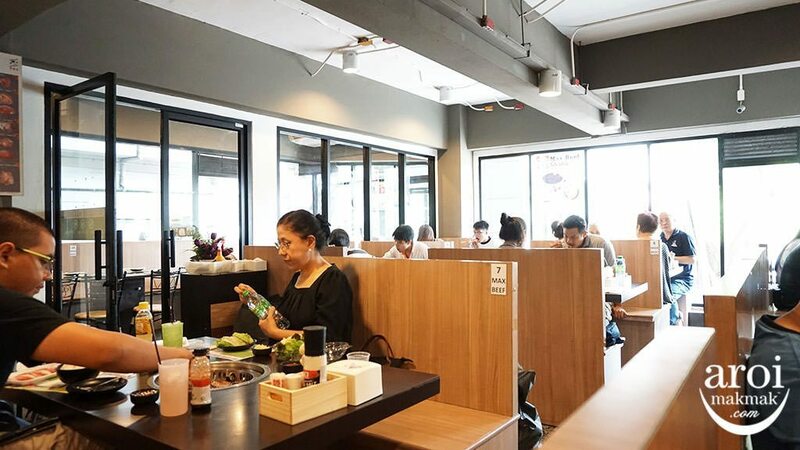 This restaurant will fill your empty stomach with premium beef straight from Kasetsart University, aka Thailand’s number 1 agricultural university. 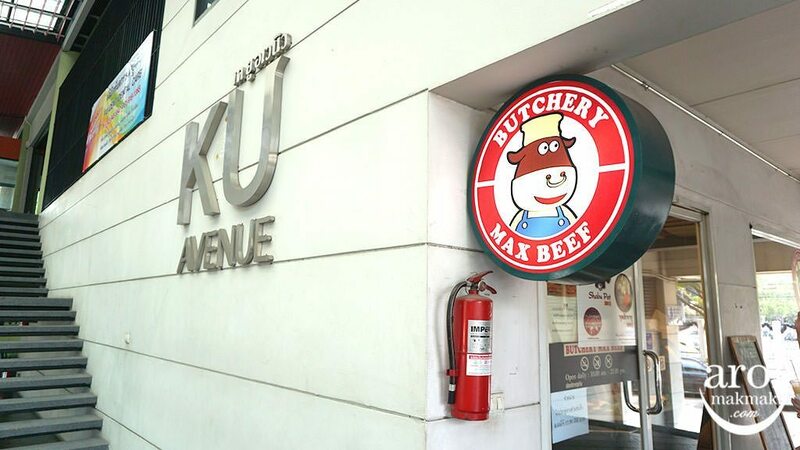 Max Beef is located in Kasetsart University (Bangkean, Bangkok Campus). 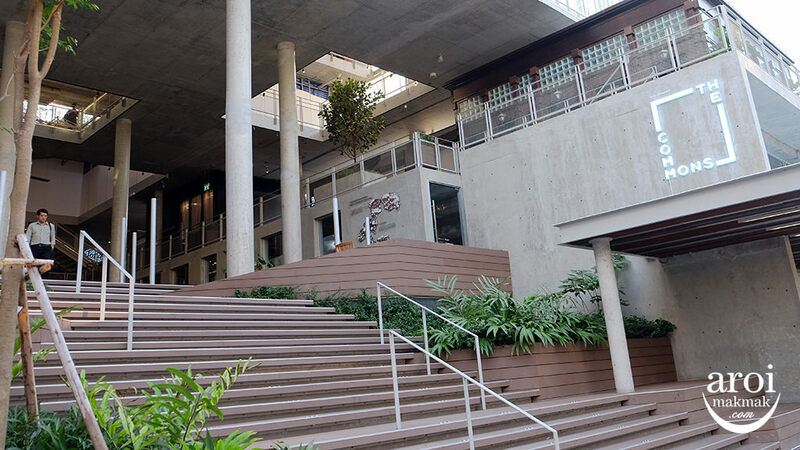 It is open from 8.00am until 8.00pm. You can travel there by both MRT and BTS. If you’re coming by MRT, you can go to Jatujak Station and take a taxi, or BTS Mo Chit/Jatujak station and take a taxi. 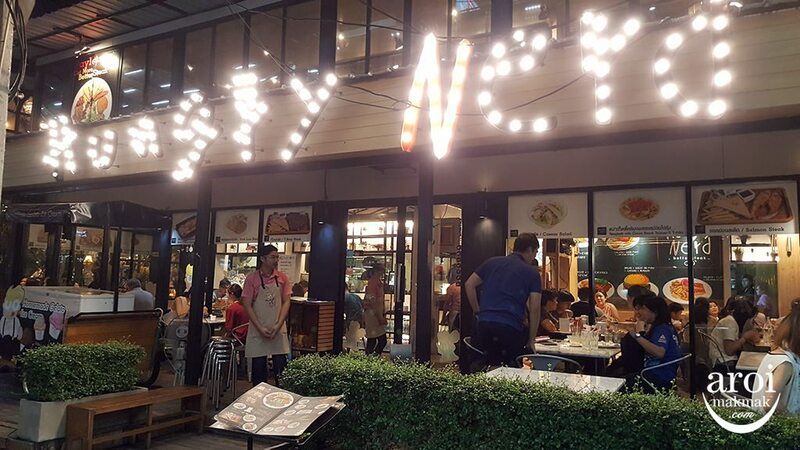 Max Beef also has another branch at Big C Ratchaprasong (Across Central World) which is a buffet line. 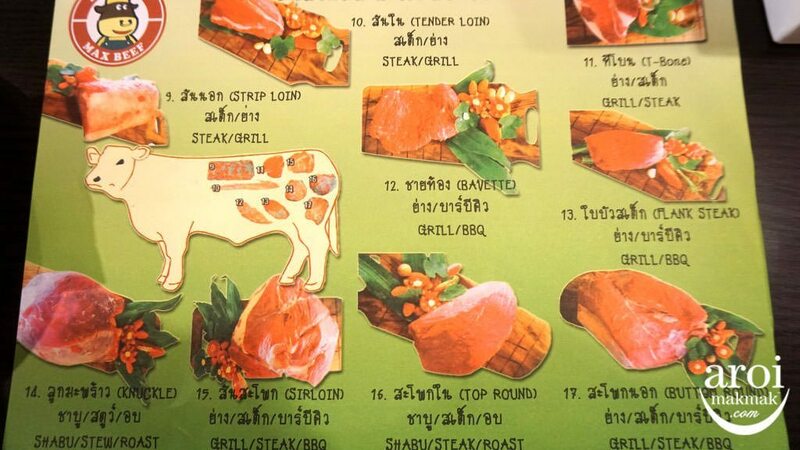 The price is 329 Baht Net for 2 hours, but there are limited varieties of beef. 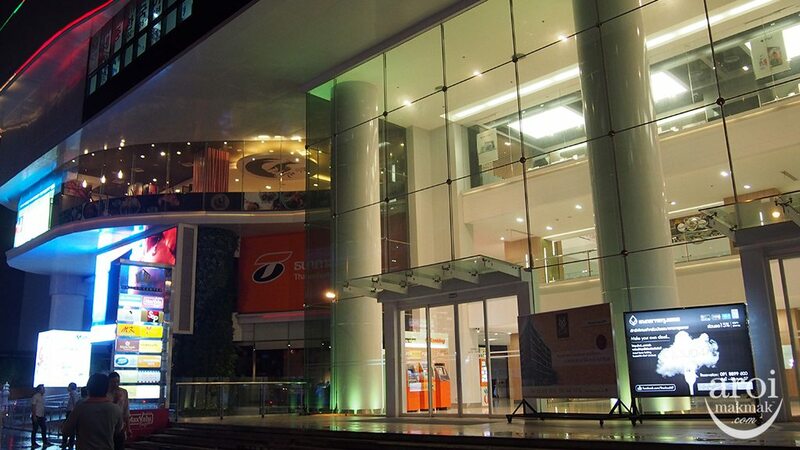 The restaurant is in the KU Avenue area. 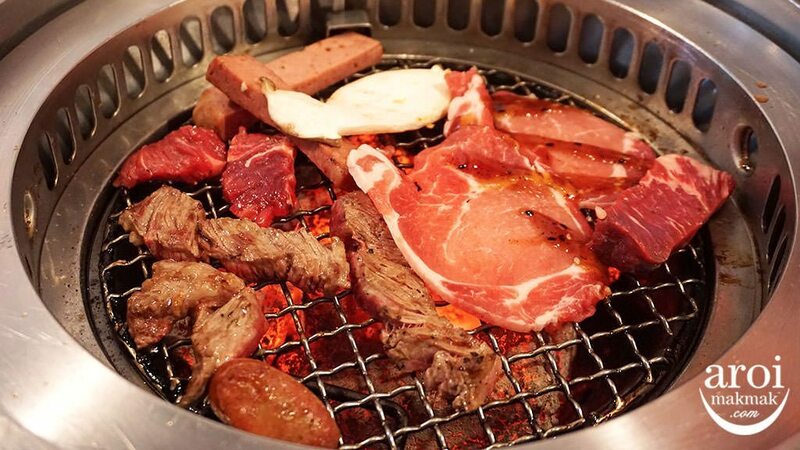 When you go to this restaurant, the fun part is that you can choose your own beef, pork, sausages, sauces, salad, side dishes. There are endless combinations! 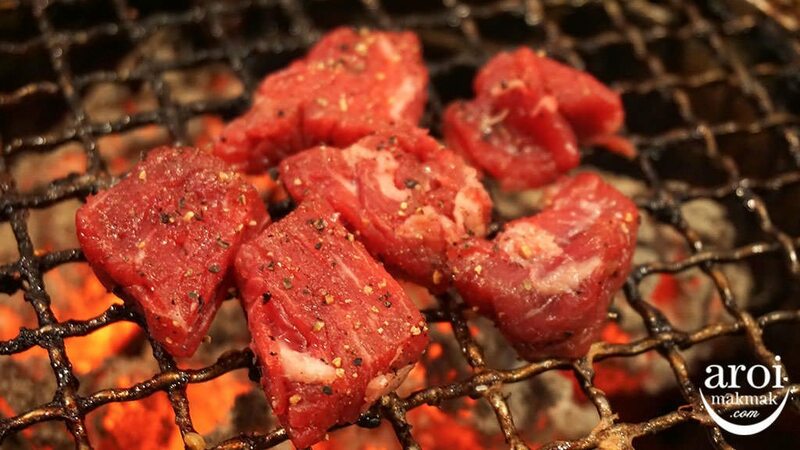 You can also choose whether you want to eat them as Shabu Shabu style, or have the beef grilled. There are many varieties of beef that you can choose. If you’re unsure which part to choose, they have a pictorial guide of where the meat comes from. 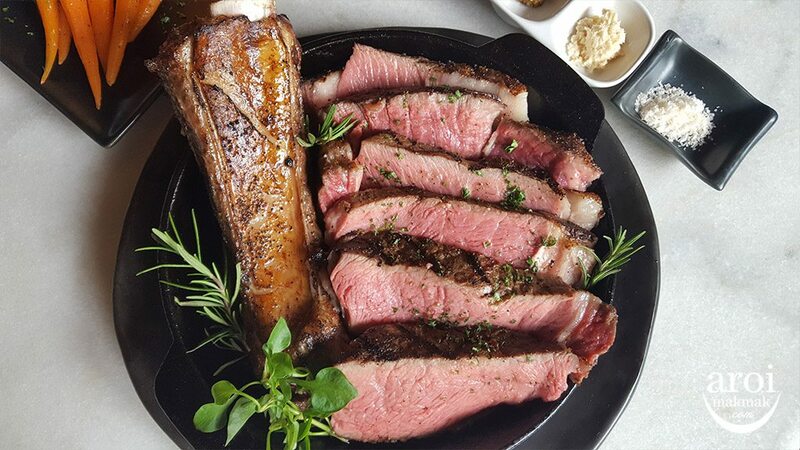 They sell many different cuts of beef: Strip Loin, Tender Loin, T-Bone, Bavette, Flank Steak, Knuckles, Sirloin, Top Round and Buttom Round. 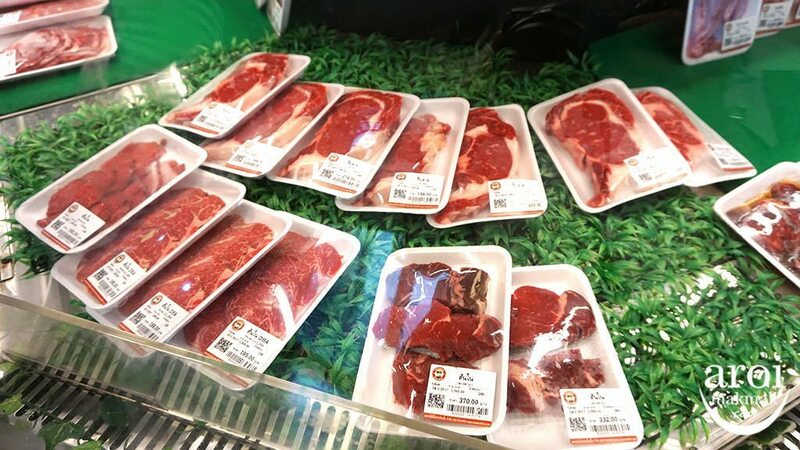 They also have Wagyu Beef at only approximately 600-700 baht per pack! You can also choose the size that you want and the price will be according to the weight. 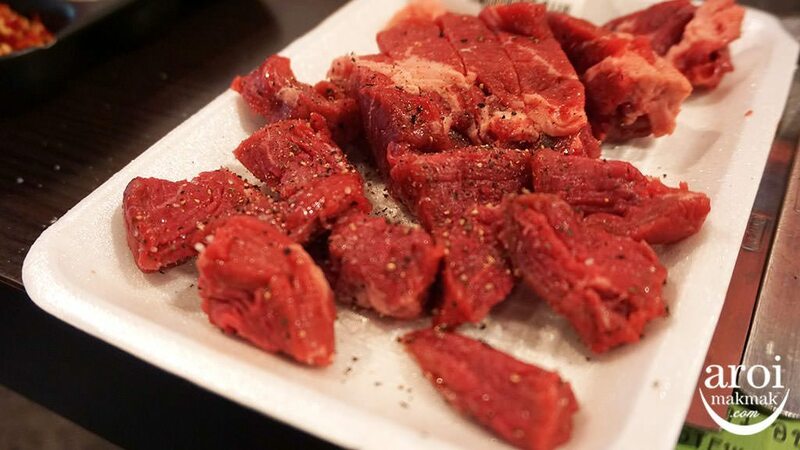 My recommendations are Wagyu Tender Loin and Beef Tender Loin. They also have beef sausage, meat loaf, pork and chicken (for the ones who are not eating beef). 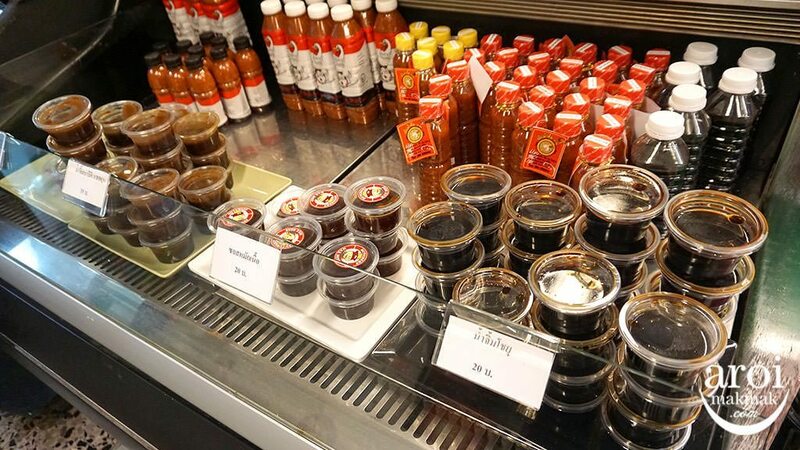 The next step is choosing the marinade and dipping sauces. 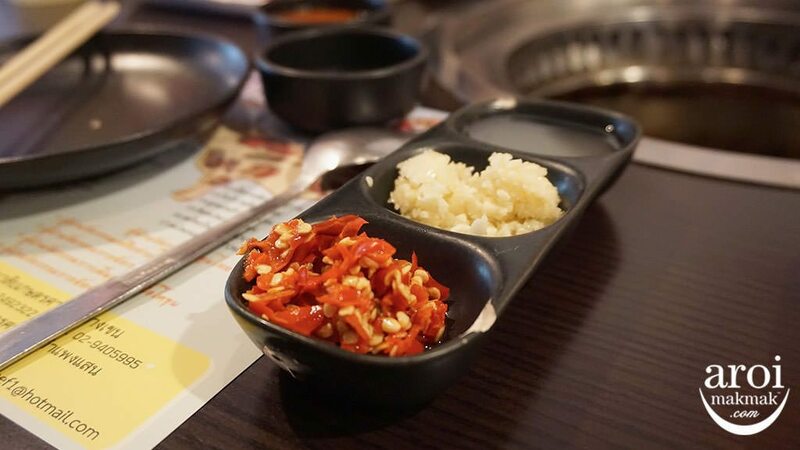 They have traditional beef marinade (a little sweet and salty), BBQ, Shouyu, Kimchi and Suki Yaki Sauce. 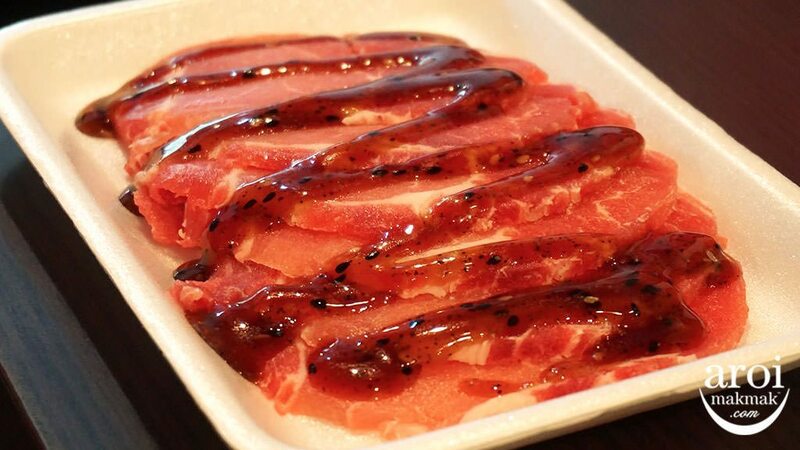 Or you can just go for a traditional salt and pepper marinade (my favorite!). 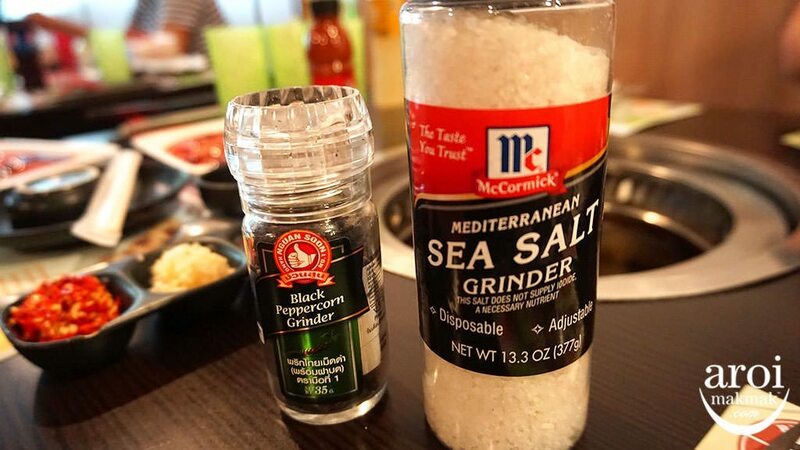 The next thing is choosing your side dishes! 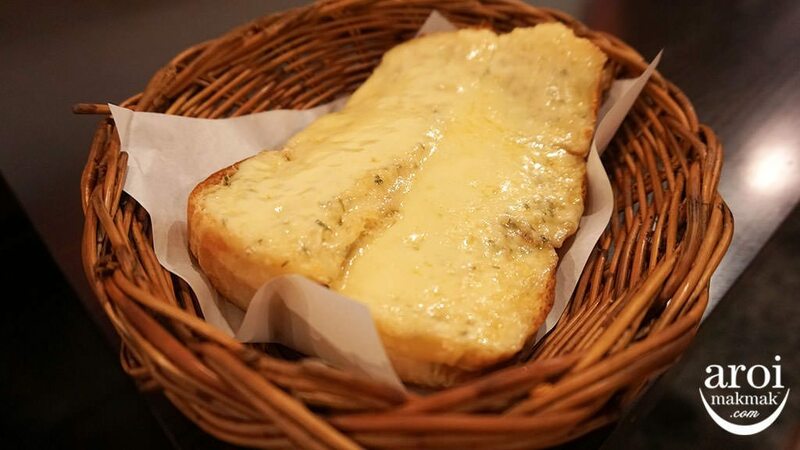 The most famous side dishes are Garlic Bread or Cheesy Bread. The cheese that they used are also the products from Kasetsart University’s farm. It is a little salty and tastes just right, especially when it is melted! I always love to grill it once again in order to make the cheese super melty and get some of that charcoal smell. They also have choices of vegetables available for you. They have fresh salad, vegetable set and mushrooms. The last step is choosing your beverages. 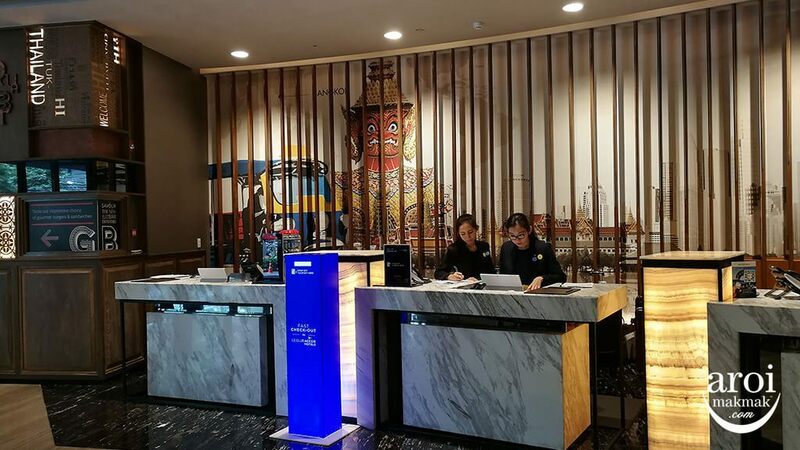 They have plenty of soft drinks and also some seasonal beverages which are also the product of the university such as honey lemon juice and sparkling juices. I really like this restaurant because they use real charcoal to grill. 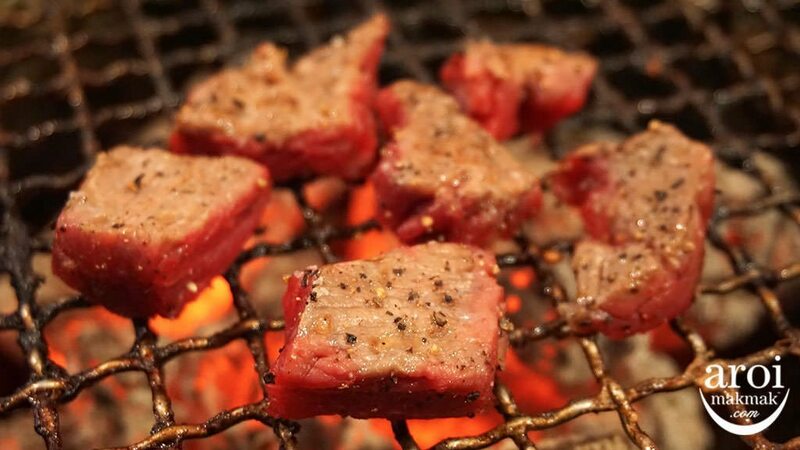 As a result, you can taste the charcoal smell when you are eating! The restaurant has your back after your meal! They know people would want something to cool down after a meaty feast. 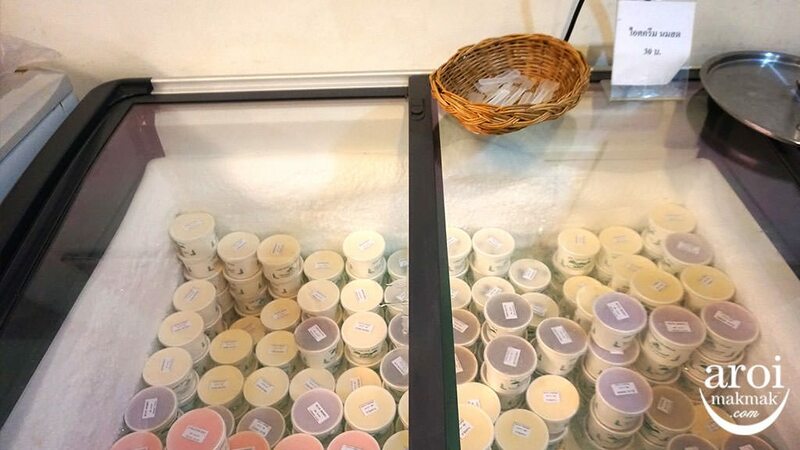 The restaurant serves ice-cream as dessert at only 30 baht per cup! The ice-cream tastes great since all the milk ingredients that they use for making the ice cream is really fresh! My recommendation is to go for the “Fresh Milk” flavour! Try this one out and you will surely love it! Yo is a Korean-at-heart Thai girl. 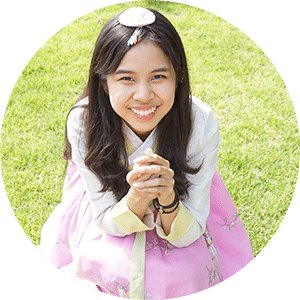 Born and raised in Bangkok, she is currently based in Seoul as an exchange student at Yonsei University. Her favorite activities to do in her free times are going to k-pop lives, dances and OF COURSE, HUNTING FOR GOOD FOOD. She also has an Instagram introducing her foodie life at @seoulexchangelife. Feel free to check it out! 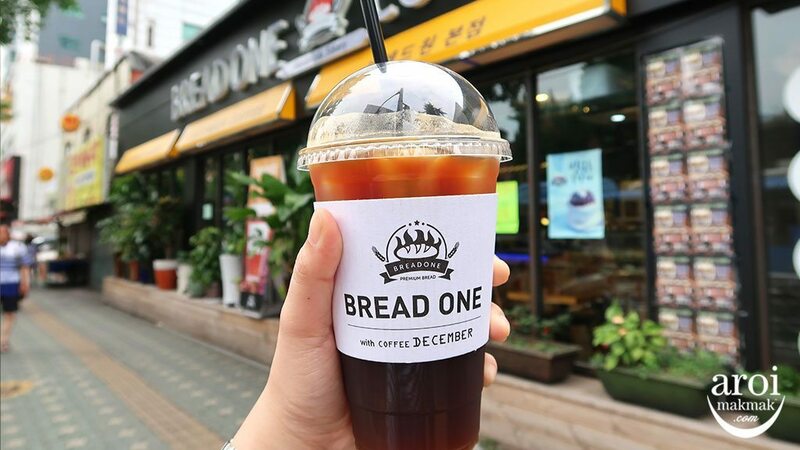 If you are the one who is looking for a good and affordable college kids’ style food in Seoul or sweet treats for the sweet-tooth, you are on the right track!